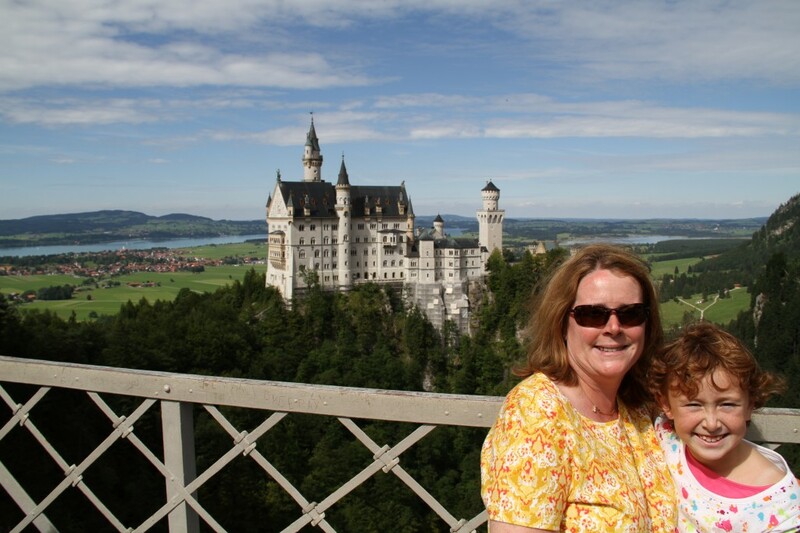 Today we were off to tour Neuschwanstein Castle, a castle in southern Bavaria and a classic picture known around the world. It is not really that old, a bit over 100 and in reality has never been completed. I could go into more details but they are too long, follow the link above to learn more. Kim and I have been here before but never made it inside due to long lines. This time we pre-ordered tickets on the internet and were able to stop by in the will call line which was much, much shorter than the just-stopped-by-for-a-visit line. If you are planning to come that is the way to go. It helps also that the queueing system for getting into the castle itself has been improved greatly, better organized and a lot less crowded. 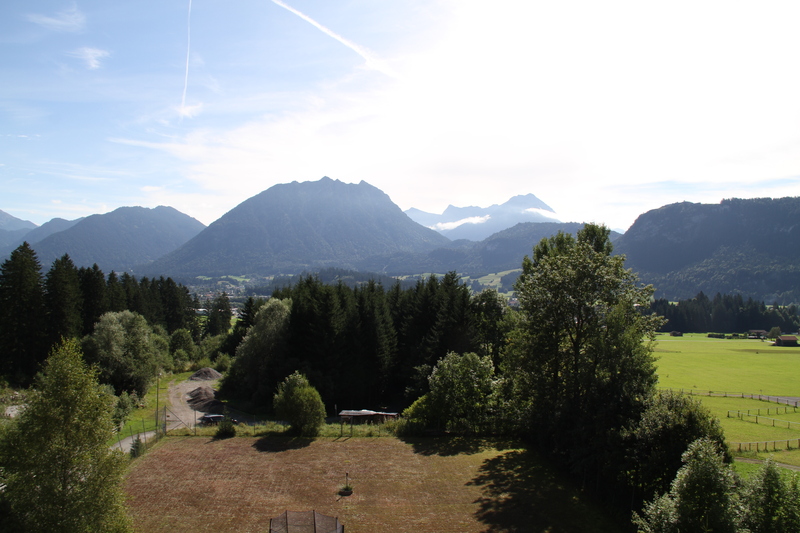 After the castle we took a 15 minute hike over to Marion’s Bridge which has a killer view of Neuschwanstein Castle and the plains of Bavaria. When we got to the bridge it looked packed but as it happens most people seemed to get on to the bridge and basically stop leaving one third crowded and the rest empty. So if you come push your way through the crowd and you will find many nice spots to view from. Sorry once again no photos are allowed inside the castle. More photos are available under the “Additional Neuschwanstein Pictures” tab. After the busy day we returned for a final night in Austira. 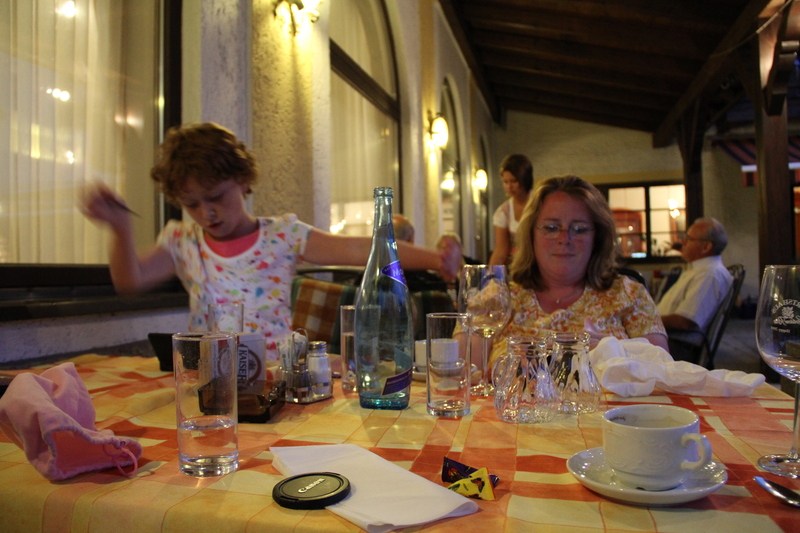 Rather than dining in the hotel (dinner is included in the price) we chose to have dinner at the Tiroler Wirtshaus “Goldene Rose” in nearby Lechaschau. 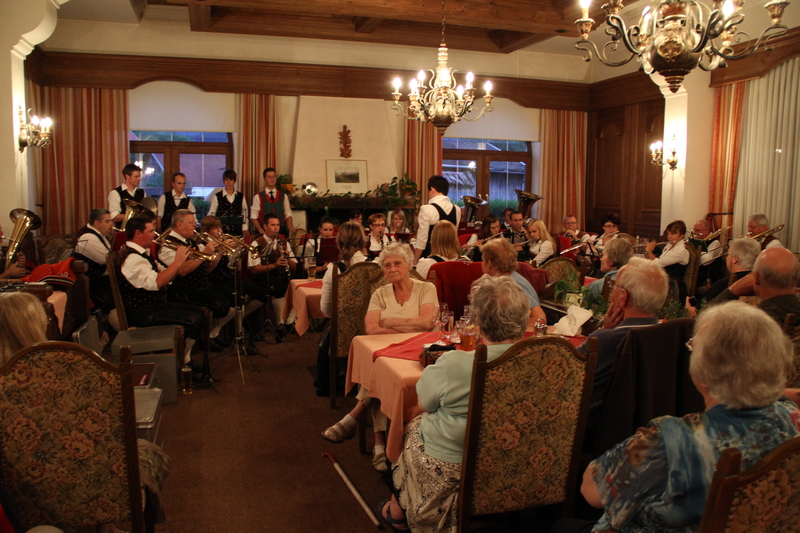 We had a great choice of Tyrol specialties, a nice wait staff and at 8:00pm a Tyrol brass band started to play. Made for a nice evening. I hate to leave Austria, many great people here, a hospitable place. 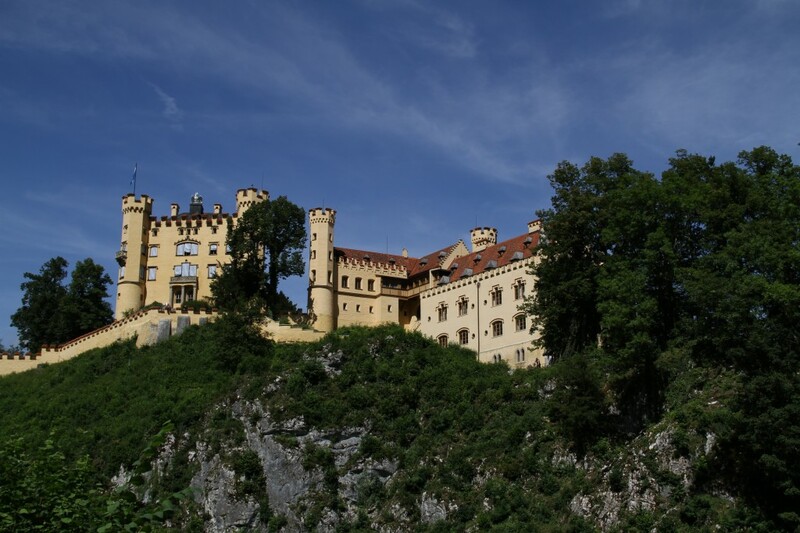 This entry was posted in Austria, Germany and tagged Germany, Neuschwanstein. Bookmark the permalink. Here’s Your Hat, What’s Your Hurry?